Everyone loves candy hearts but they are usually gone within the blink of an eye. Make these lasting felt hearts and fill them with a sweet smelling combination of rice and spices to keep around all year long. 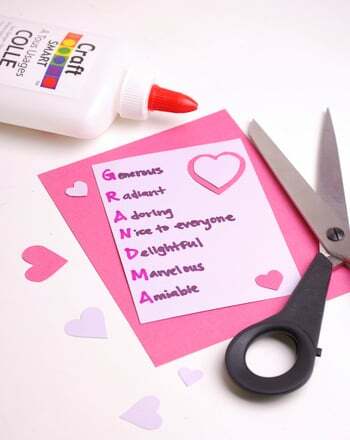 They’ll brighten up the house or make great gifts and party favors for those special people in your life this Valentine’s Day. Help your child pour about 1/4 cup of rice into bowl, and add a teaspoon of cinnamon. Stir and then set aside. Next, have your child draw a heart on the construction paper, about three inches wide. 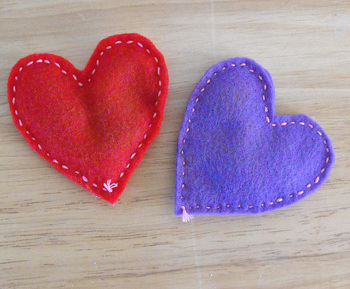 Trace the heart pattern onto felt twice, and cut them out. You’ll need two hearts for each finished sachet. Stack two hearts together, and show your child how to thread the needle and sew them together halfway. Leave about an inch unsewn, to insert the scented rice. Help your child spoon a few teaspoons of the rice mixture into the heart pocket, and then sew it closed. Tie off the thread and snip the loose ends. Decorate your heart with messages from candy hearts, like “ LUV U”, “BE MINE” or “HUGS”. These doves need help delivering Valentine's Day letters! Your student can review his times tables to match each equation with its answer. 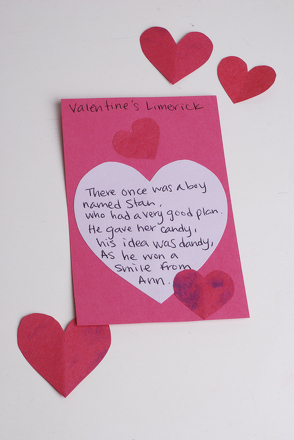 Make division practise a bit more fun with this Valentine's Day challenge! Match up each equation to its answer to help the doves deliver their letters. Make a yarn heart with your little Valentine. Can you fix these broken hearts? Test your multiplication skills with this fun worksheet.